Principally a choral ensemble, Ex Cathedra assembles its Baroque Orchestra or Baroque Ensemble as repertoire requires. 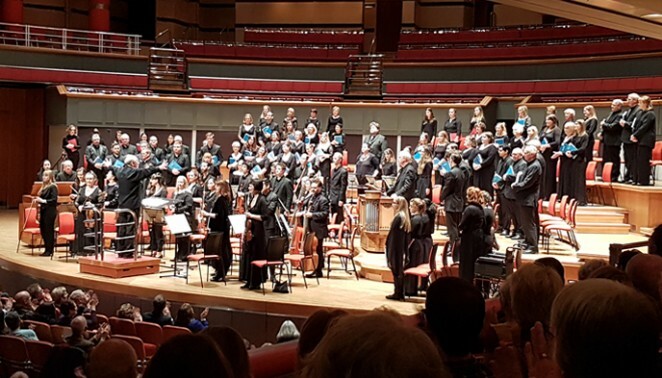 Founded as part of Ex Cathedra’s 1983-1984 season, it was the first period-instrument orchestra to be established in an English regional city. It is a flexible ensemble combining many of Europe’s top period instrumentalists with talented young players, often with strong links to the region. Ex Cathedra’s commitment to developing young players is an extension of our approach to the development of young singers. Principals players regularly give master classes and coach students at Birmingham Conservatoire and the University of Birmingham.